Center Ice of Dupage is an ice facility located in Glen Ellyn IL., in the western suburbs of Chicago, that houses two sheets of ice (one NHL-sized and one Olympic-sized). ​Ice World is an ice facility located approximately 20 miles north of Baltimore in Abingdon, MD that houses two sheets of ice. Printscape Arena at Southpointe is an ice facility located 21 miles south of Pittsburgh in Southpointe, PA that houses one sheet of ice, one multi-purpose indoor sports court, a health club, and a full service restaurant. Piney Orchard is an ice facility located in Odenton, MD that houses one sheet of ice and a flat concrete pad (to be developed at a future date). Seven Bridges is an ice facility located in Woodridge, IL that houses two sheets of ice, an indoor sports field, a full service restaurant, and a workout facility. 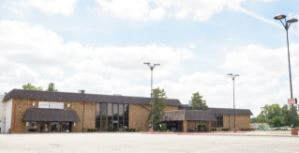 Seven Bridges Ice Arena is home to the AAA hockey club Team Illinois. and arcade making the arena a destination for family fun. Ice Land skating center is a two-sheet arena located in Hamilton Township, NJ,serving the greater Trenton-Princeton area. The rink is the home ​of the Mercer Chiefs AAA youth hockey club. 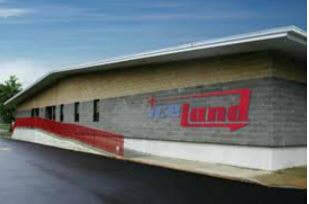 Southwest Ice Arena is a 2-sheet ice facility (One NHL-sized and one studio-sized), serving the southwest of the greater Chicago area. The rink is the home of the St. Jude Knights and various local high schools. Milford Ice Pavilion is a single-sheet NHL-sized rink serving the New Haven area. The rink is the home of the Southern CT Stars and various local high schools.